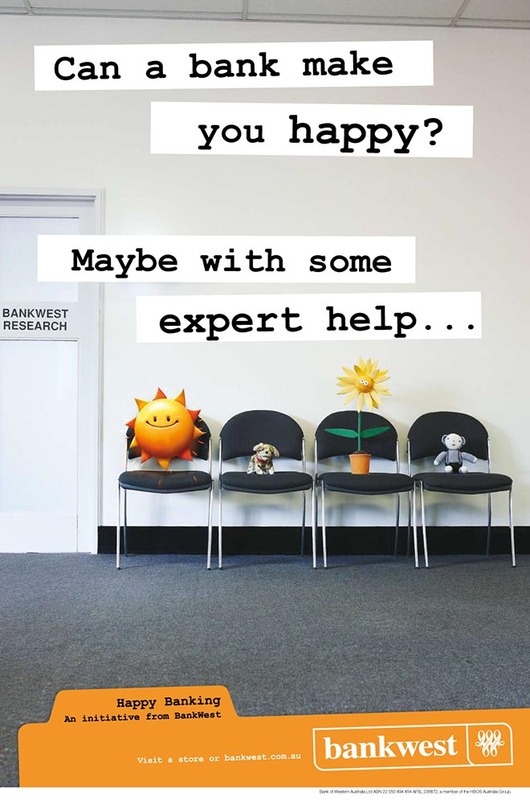 BankWest worked with Host, Sydney, to launch a new marketing and advertising campaign, “Happy Banking”, taking the bank from a focus on Western Australia to a whole-of-Australia approach. BankWest used the February 2007 campaign to promote Rate Tracker, a new category of home loan in the Australian mortgage market. An animated sunflower, sun, dog and singing kittens pick up the feel of Creature Comforts in their reflections on what makes people happy. The campaign includes the interactive site, happybanking.com.au and a range of print, outdoor and in-store advertisements. 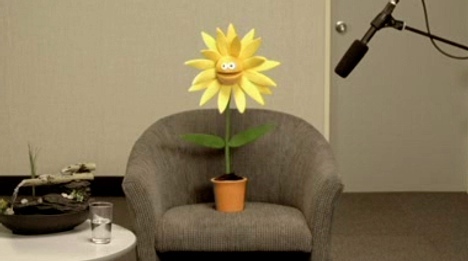 The sunflower talks about the difference an ‘open attitude’ can make to happiness. A wind-up dog talks about meeting Peter Ustinov at the Cross (Kings Cross, Sydney). It’s all about that little bit extra interest you pull out. A talking sun talks about generosity making people happy? And perhaps a bank that offers a lower mortgage rate. Kittens sing for the Flower. Now you may wonder why we are here, or what we have to say? We heard you’re feeling blue, so we made a song for you. That’s a strange name for a girl, so can we call you Shirley? Hey you’re looking great, out of 10 we give you 8! So if life deals up some knocks, don’t panic! At least you don’t have to pee in a plastic box. 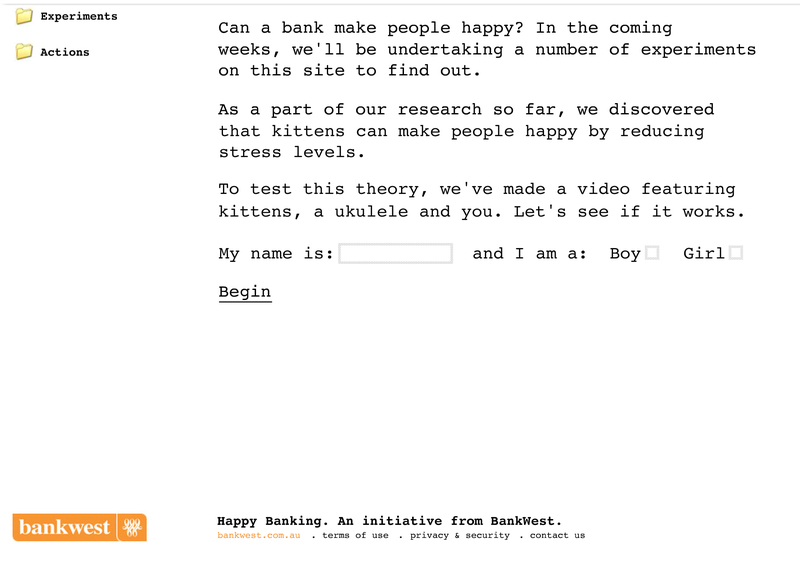 The Happy Bank campaign was developed at Host, Sydney by The Glue Society, with production done through Radical Media, Sydney.